We are a trade union of women domestic workers that act throughout the national territory, with the aim of promoting to the government and society in general, strategies that promote decent work in the domestic work sector in our country. 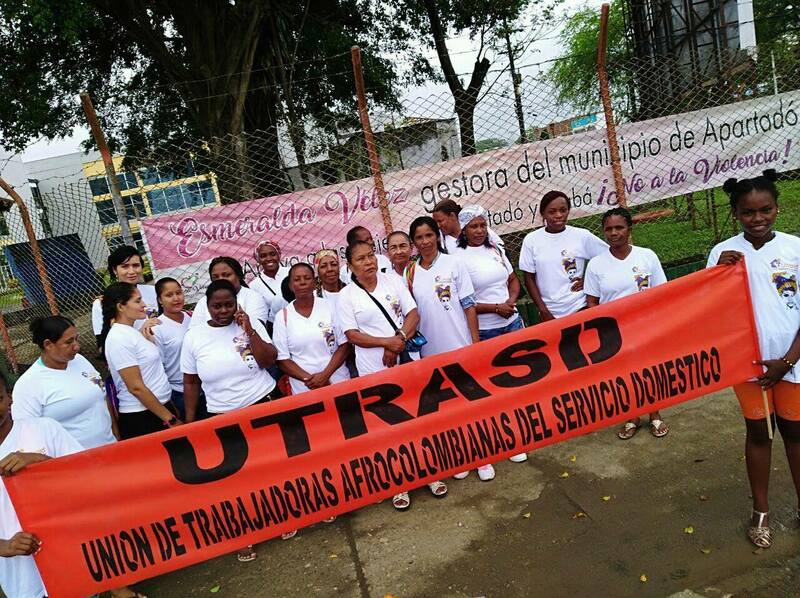 Consolidate UTRASD as the benchmark for domestic work in the country, with the sub-directorates of Urabá, Cartagena, Neiva, Bogotá and Medellín strengthened and the constitution of new subdirectorates in Quibdó, Tumaco and Buenaventura. With political incidence before the government and the congress, through the Conformation of the follow-up table to the premium law and the section of specialized inspectors, taking important steps towards the formalization of domestic work in Colombia. We will have an articulated work between all the secretaries of the organization, Sec. Of ethno-education, Sec. Of communication, Sec. Of integration and social welfare, Sec. Of organization and rights, Sec. Of woman and gender, and Sec. Financial and of projects; emphasizing the implementation of training programs in basic education, union education and with annual integrations that encourage the closeness and growth of union bases. Own economic initiatives, as well as the management of projects and alliances with different organizations are considered as economic sustainability strategies for the functioning of the organization. 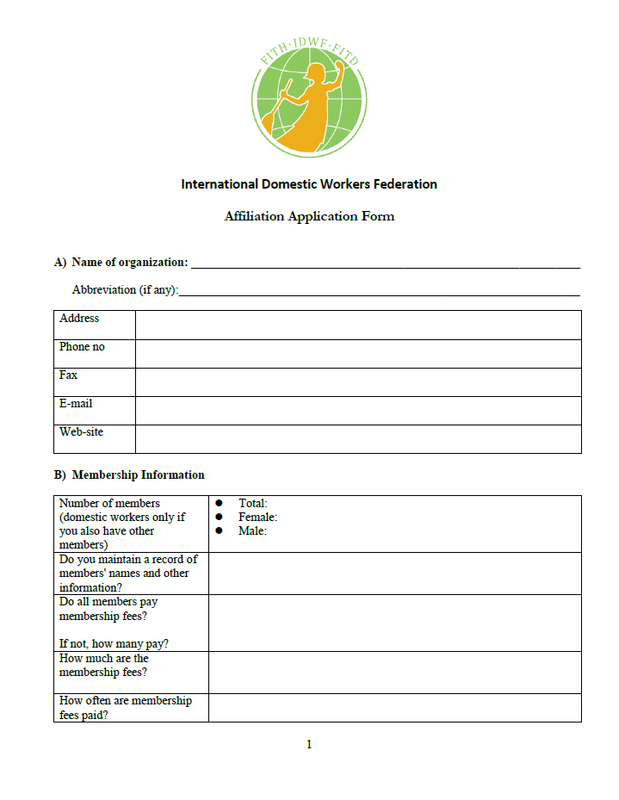 On March 1, 2013, a group of 28 women met for a truly important reason for the life of each of those present there; this day, the first union of domestic workers with an Afro ethnic focus would be constituted and with the doors open to receive women domestic workers of any ethnicity. "We created our union as living proof that we get tired of working very hard for low wages; we get tired of physical and verbal abuse; we get tired of our work being seen as help and not as work; we get tired of the same government and labor legislation being discriminatory with the norms, and above all, we get tired of knowing that although we have worked a large part of our life, for old age we will have no way of guaranteeing our quality of life." The research "Bridging the invisibility of Afro-Colombian domestic workers in Medellin" led by the National Trade Union School - ENS and the Afro-Colombian Social and Cultural Development Corporation - CARABATÚ, strengthened the constitution of UTRASD, facilitating spaces for domestic workers to come together and break the silence, making known the highly precarious working conditions in which they work in the city of Medellín. The need to organize collectively to give that denied voice for so long to domestic workers and promote decent work in the sector is evident. Since its inception UTRASD has emerged as an organization with a great projection when it comes to dynamizing processes of transformation and conquest of human rights in the domestic work sector at a national level. The political impact that the union has had on the legislative agenda of the country, the different communication strategies in terms of disclosure and demand for labor rights and the political formation of its leaders and affiliates has resulted in the qualification and growth of the number of affiliates in the country. the national territory. When this dream began it was thought to share it with women from more regions, and so far the union has managed to establish a sub-directorate in Cartagena, Urabá, Bogotá, Neiva and we go to Buena Ventura, Quibdó and Tumaco. At present, one of the union's greatest achievements was the promulgation of the long-awaited premium law for domestic workers (law 1788 of 2016). Before this process, in our country there was a premium for services for other workers but not for domestic workers, arguing that houses do not produce. This is why the women of UTRASD are proud to say that they were at the forefront of the entire process from July 22, 2015 when the bill was filed, until June 2016, the month in which the premium law was passed. the domestic workers.